First of all, let me just say that I might be insane! I signed up earlier today to commit to blogging every day this week! What was I thinking?! 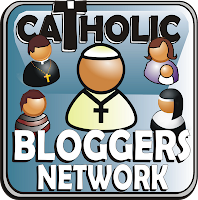 I feel like I succumbed to peer-pressure by the other 246 Catholic bloggers who already linked up before me with Jennifer Fulwiler at Conversion Diary! I don’t want to be left out of the madness! There is something greatly unifying and inspiring just knowing that all of these other people are doing the same thing, though! Here’s to 7 Posts in 7 Days! 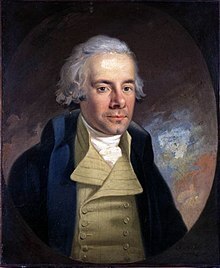 Wilberforce understood the profoundly important concept that we are all sinners and all fall short of the glory of God. He hated the sin but loved the sinner, and he never demonized his opponents. He fought against them valiantly but always with grace, knowing that he had been part of the problem at one time, too, and knowing that if it weren’t for the grace of God, he would still be a part of the problem. Metaxas likened this issue to the abortion debate in our culture today. He stated that “Jesus commanded us to love our enemies.” And, just as Metaxas pointed out that we are often guilty of doing, I find myself thinking that I’m on higher moral ground, especially when it comes to things like abortion. I tend to think “I can’t believe so-and-so is completely ignorant about that” and “I’m glad that I do more good than so-and-so”. The truth is, it is only because of God’s grace that we have the knowledge that we do. God lets us see certain truths when we are open to Him that others are blinded to because they reject Him. How timely was this speech?! Imagine my excitement – and conviction – when I heard the Gospel reading on Sunday morning about loving our enemies (Matthew 5: 38-48)! The exact topic that Metaxas stressed in his talk the previous night! Trust me, my ears were open! And if that wasn’t enough, I also read a post from Biltrix about the reading yesterday, titled When the Gospel Pokes. I can definitely relate! All that is good is from God, and it is only because of His grace that we can have wisdom, love, knowledge, faith, and the ability to offer forgiveness. It would ALL be impossible without God’s grace. He first required a deep sense that the Lord had called him to these things –else he would have been overwhelmed, and the many setbacks would have been a great discouragement. But because he knew that God had indeed set these objects before him, he knew that the battle was God’s battle, not his. All he had to do was to be obedient to what God was asking him to do and to know that God brings the victory. What a great reminder to each one of us! When we feel that God is calling us to something, we have to remember that He is in control and it is not up to us to make certain things happen. All that we can do is trust and obey. And pray – often! For more about Wilberforce, you can read Eric Metaxas’ book Amazing Grace and/or watch the movie. The Kindle version is currently $3.79 on Amazon. Metaxas is also in the process of writing a book about inspirational women and a book about modern-day miracles. I can’t wait!